The forward of this book was written by Thomas Meyers of Anatomy Trains fame. 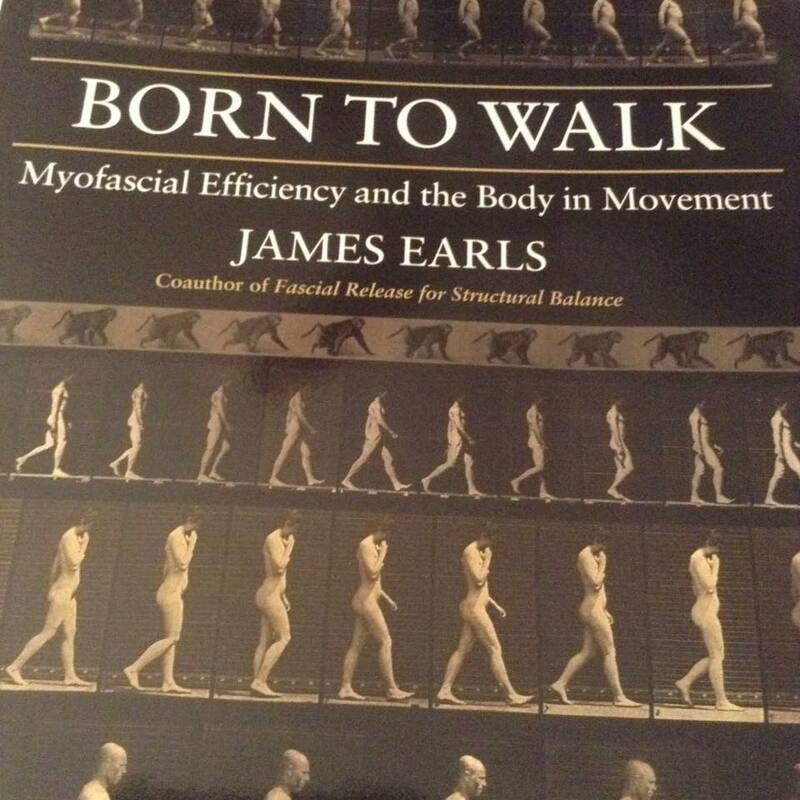 The author, James Earls is a myofascial bodyworker, lecturer and writer who partnered with Tom Meyers in founding Kinesis UK, to bring Anatomy Trains to the UK and Europe. For those not familiar with Tom Meyers or his work, Anatomy Trains is the mapping of whole body facial and myofascial links first published in 1997. This book is Anatomy Trains applied to gait. The introduction is a trove of information and uses examples from da Vinci’s Vitruvian Man to Newton and Hooks laws of physics to make points. Chapter 1 covers the Walking System and our relationship to gravity. Sprinkled throughout the book are quotes by famous folks, to lend humor or further the points being made. In chapter 1 we learn about ground force reaction, evolution and energy conservation. He also explains the concepts of Anatomy Trains as these are the basis of his book.At the end of each chapter is a summary of the most important points and focus of the information. Chapter 2 covers the mechanical chain and function of walking, propulsion, shock absorption, adaption of the foot and leg and soft tissue response. Once we get past the first two chapters, the rest of the book is dedicated to the Anatomy Trains links or lines and how they relate to gait. Superficial front and back lines, lateral line, spiral line, deep front line, and arm function line. I am breaking with tradition here, whether mine, or the other book club reviewers is irrelevant, and I will not be giving a blow by blow of the remaining chapters. What I will do is to wrap up by saying that for me this book was overdrawn with elaborate explanations and not enough in the way of practical application. In my opinion Katy Bowman does a much better job in all of her books that deal with this same topic. She presents the information clearly and in terms that do not require a degree in physics to digest. Here is an example in a chapter summary that deals with keeping the head on the spine. The posterior X of the upper spiral line creates the counter rotation in the upper thoracic spine to oppose the rotation driven from the pelvis which helps stabilize the head. On one side of the body as the anterior part of the upper SPL assists movement of the lower limb, the posterior portion( rhomboids and splenii) on that side will be shorter– and the reverse will be true on the other side of the body. This crossover in tension between the portions of the lines creates the counterrotation necessary for Gracovetsky’s “Spinal Engine” and allows the skull to remain straight. Wphew! That was a mouthful. I would say that unless you are obsessive about facial lines and have to possess every book published on the subject, save your money and purchase or re read Anatomy Trains. Lee Artur is a veteran of the fitness industry having begun her career in 1982, at the inception of the fitness boom. Over the course of the last 34 years, Lee has been in every aspect of the fitness Industry. IN 1984 Lee opened the Exercise Studio In Doylestown, Pa. In 1989, Lee partnered with The Center Club, a family owned Karate and Fitness center in Bucks County Pa. Lee acted as the Aerobic and Fitness Director of the club, from 1989 until 2003 as it grew from one club, to a small chain of three centers located in Bucks County Pa. and Hunterdon NJ. 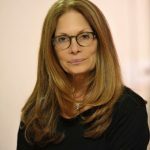 Lee has been a CEC provider and conference presenter, for ACE, AFFA and AAAI and starred in a step training video produced by Greg Twombly, founder of CIA, Creative Instructor Aerobics, a video based training program for aerobic instructors. In 2006, Lee was hired by the Healthquest Fitness Club, to train instructors in the Pilates Method and to facilitate and install a fully equipped Pilates studio at the club. Lee acted as a consultant to the club and as Director of the Pilates studio from 2006 until 2011.